Today, 30 August 2012, is National Holistic Pet Day. This is the day to celebrate all of the ways we can care for the ‘whole’ dog – their physiological health and their mental health. As a canine massage therapist, I’m naturally a supporter of holistic approaches because I help treat dogs with acupressure, laser and massage therapies. I also help dogs with rehabilitation programmes, even measuring dogs for mobility carts when necessary. I also like to use bach flower remedies. Whatever you do – enjoy National Holistic Pet Day together. The best thing you can give your dog is your time. 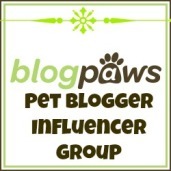 This entry was posted in dog care and tagged acupressure, bach flowers, dogs, holistic care, holistic medicine, homeopathic, laser, massage, mobility carts, National Holistic Pet Day, rehabilitation. Bookmark the permalink.